Our Multi Use Labels are Multi Talented. 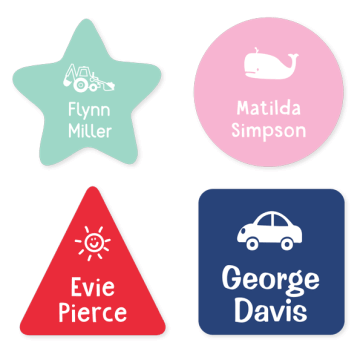 Keep a stash of these babies handy and you can slap a label on anything you need to - books, shoes, jumpers, lunchboxes and everything in between! Did you know that you can iron the labels onto your clothes for a more durable solution?